As a skilled dental professional in the Greater Los Angeles area, Dr. Peng uses strong, durable veneers to help Gardena, CA, patients have the beautiful, flawless smiles they're looking for. Veneers are thin, strong covers that are applied to the front surfaces of teeth to help correct cosmetic problems like chips, cracks, pits, stains or discolorations, uneven edges or worn surfaces. They can also be used to close unattractive gaps between teeth. Veneers can be tinted and shaped to match surrounding teeth so they look perfectly natural. How are veneers applied to teeth? 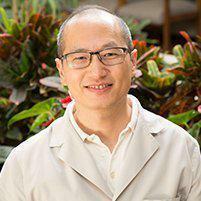 First, Dr. Peng will prepare the tooth surface, removing a very thin layer of tooth material to ensure there's enough room for the addition of the veneer and to prevent it from extending beyond the surfaces of the neighboring teeth. Next, an impression will be made of your teeth so the veneer can be shaped to ensure a proper fit. While your veneer is being made, Dr. Peng will apply a temporary veneer to protect the tooth. Once the veneer has been created, during your next appointment it will be applied using a strong adhesive and then shaped and polished for a perfect fit. No, they can be cared for just like your natural tooth material, with regular brushing and flossing and regular visits to the dentist to ensure they remain properly affixed. Although they're designed to be stain-resistant, you can help ensure your veneers look their best by rinsing well after eating foods that have a tendency to stain, such as dark berries or red wine. Today's veneer materials are especially strong and durable, designed to look great and function well for at least a decade and sometimes as long as 20 years before they have to be replaced. You can make sure they last as long as possible by taking good care of your teeth and seeing the dentist regularly to ensure they remain properly adhered.